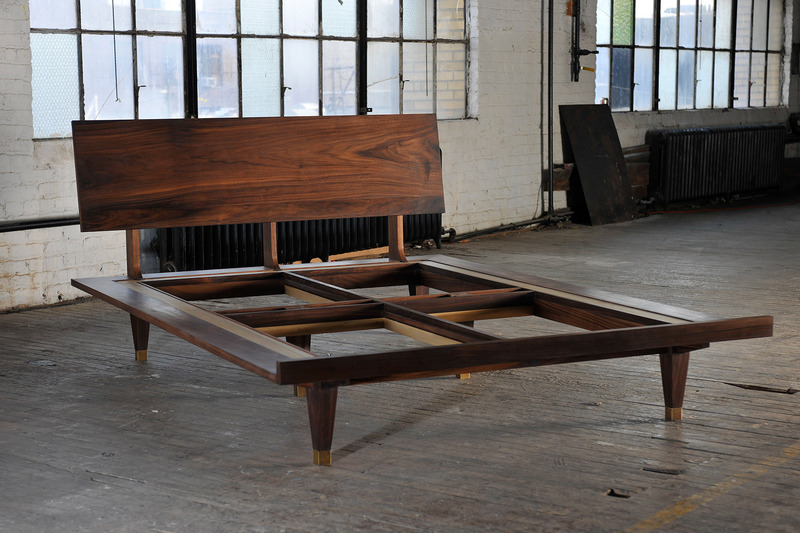 D and D Bed in Walnut with brass caps. Queen Size. Headboard hight is 36" Platform height is 12". Frame is 66"W x 87"D.